So if you own a Playstation Vita then I think it would be safe to suggest that you love Japanese Role Playing Games (JRPG's) or at least have some interest in them considering that a massive chunk of the games available for the Vita are in this genre. 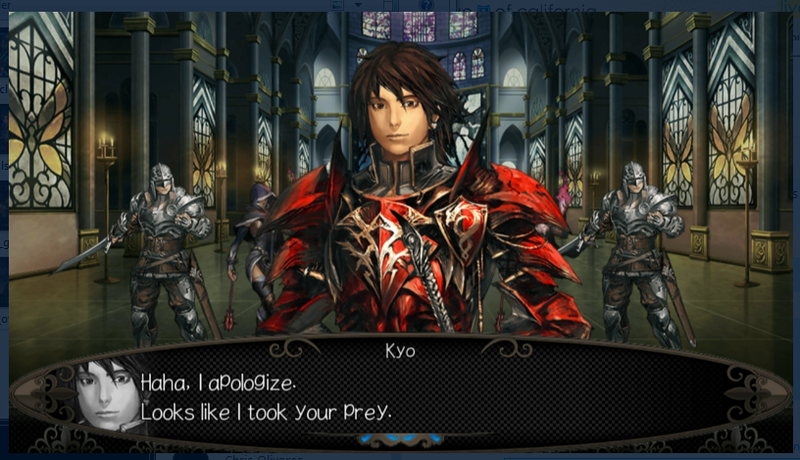 From my point of view, JRPG's can be very hit and miss whether or not they translate well into the western gaming cultures. 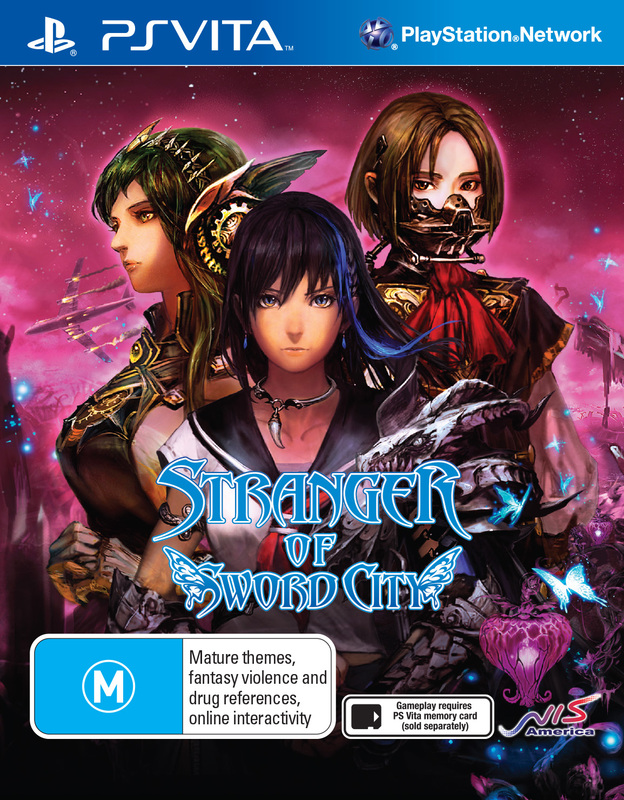 I took a look at Stranger of Sword City to see how it stacks up against the rest. 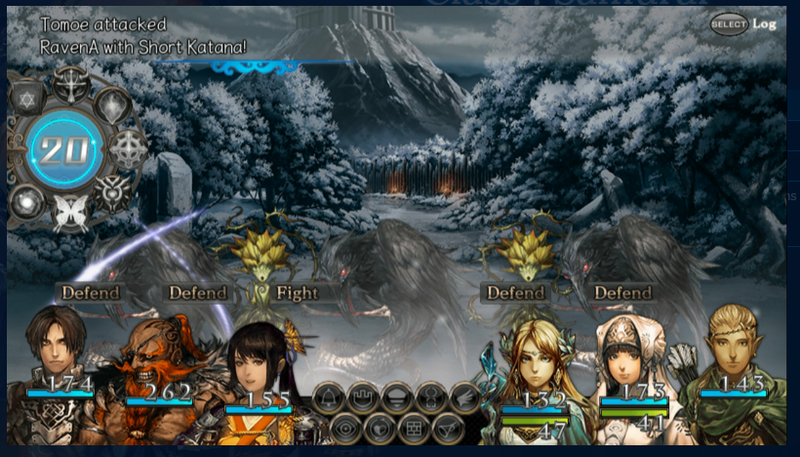 Stranger of Sword City is a little different than a lot of games in its genre. 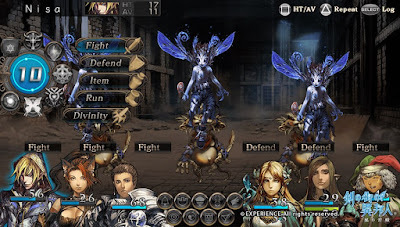 It's a dungeon-crawling JRPG which has a story that starts off hitting a little close to reality with the recent disappearance of a certain commercial airliner. Call it art imitating life if you will, or maybe it's just pure coincidence that the main character (you) is on a flight leaving Japan when it crashes. 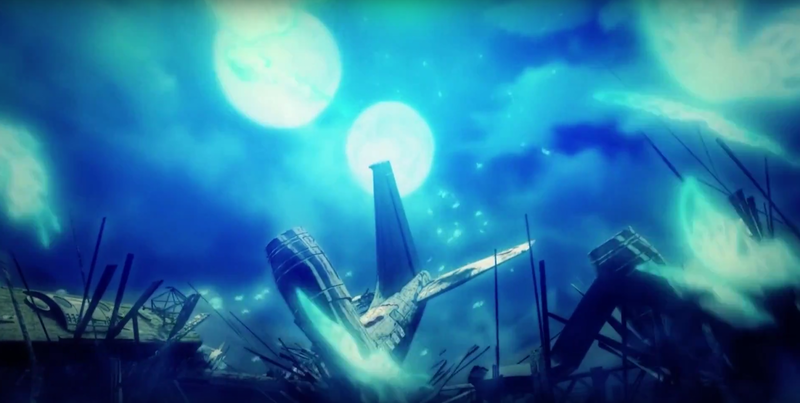 Naturally you are the sole survivor of this crash and you wake up in a land called Escario, the City of Swords. Essentially, your plane crashed and somehow landed in another dimension. This would of course also explain the real world plane that we can't find. 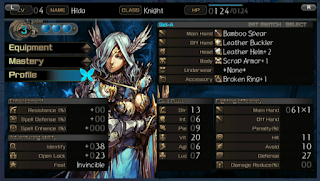 You quickly become dubbed as "The Stranger of Sword City" and become the defender of this foreign land due to the fact that strangers are more powerful in this world thanks a lower gravity pull compared to back home. Now that you find your feet and begin to scour the lands your mission is to find your way home from this unfamiliar land. In doing so you will meet friends, foes and experience heavy sacrifices. The main style game play puts you into a first person perspective placed onto a grid based playing field. Movement won't be like a typical FPS game though as your movements are locked along a grid. Although this is an unfamiliar style to me, this is how I know dungeon crawlers to be. The controls felt concise after a short time of earning how it all worked. 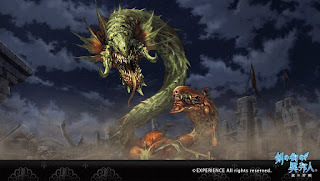 As you follow the tutorials early in the game you will explore underground dungeons and also venture aboveground to what appears to be a vast wasteland. Although the graphics for the 3D environments aren't mind blowing, the rest of the art style is satisfying. As you move around you will encounter enemies that will want to fight you. This is where the game mechanic changes to a turn based combat style of play. When the combat starts, you and five other team members that you have recruited, come together to fight enemies known as "Lineage Types" in order to collect Blood Crystals from them. Lineage Types are a type of monster with infinite lives. To kill them, you have to take their blood crystals otherwise they will continue to haunt you forever. Only you, the chosen one has the ability to do this. The turned based combat here is very familiar from other games that have the same form of combat, albeit with respect to a few new parts here or there. It works well and is fairly easy to get a grasp of it and start off running. It is easy though to fall into a false sense of security as the difficulty of a playthrough will start to ramp up, even on the easier settings. 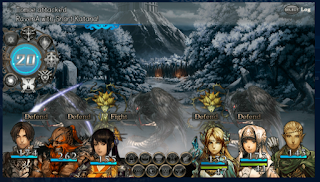 The combat system is also coupled with what is called the "Ambush System". Using the Ambush System will deplete your Morale Gauge but it will allow you to hide in certain areas to ambush monsters. All monsters that you use the Ambush System against will carry special treasures for you to loot. Using this too often or taking too long to complete the ambush fight can turn deadly for you though so use caution. This is a new feature that I haven't experienced in a game of this genre and it is something that future games can expand on. 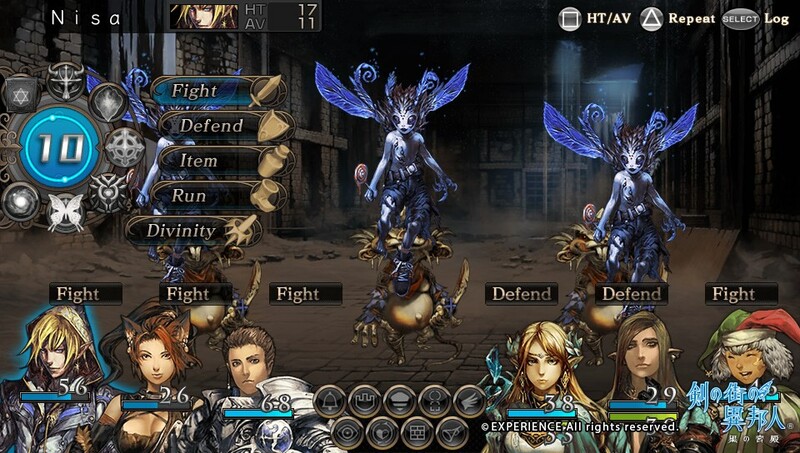 The pacing is slow and it can become a laborious task due to the lack of English vocals within the game. Whatever voice acting that is in the game is in Japanese and you are left only with subtitles. On the upside, the subtitles are well written and translate well to english. The overall story is played out well over a massive 30-40 hours for its main campaign. If you're a mad hatted completionist and wish to get every dollar of value out of the game, you could push through completing everything outside of the main story which could take you up to a further 20 hours to complete. So there's a lot of content packed into such a small memory card. In the end, you will be left with stunning visuals for the most part with a professional looking art style that will have all of you JRPG fans frothing at the mouth. It looks bright and brilliant in all of the art and special effects departments. Stranger of Sword City is a massive game and for the purpose of this review I can't even begin to try and explain all of the features, so think of it as a surprise if you decide to delve into it. I think that this game would be a great companion for fans of the series to eat up the hours on a long drive or flight. Although, playing a game on a plane, where the plane crashes in the opening scene probably won't be much entertaining when the turbulence hits.